Tri-Line Carriers provides a wide range of reliable transportation solutions across North America from terminals in Calgary, AB, Edmonton, AB and Winnipeg, MB. 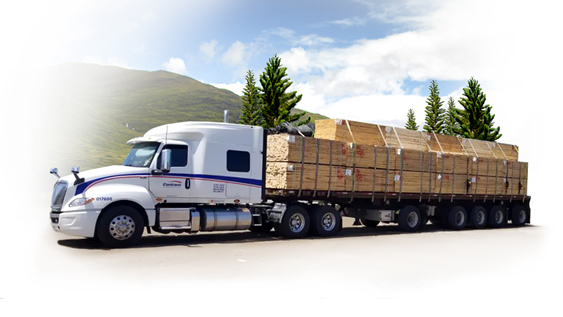 Contrans Flatbed Group offers a broad range of transportation services across North America. Our terminals are conveniently located in Hagersville, ON, Mississauga, ON and North Bay, ON. 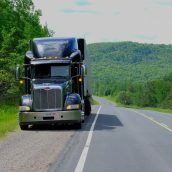 Brookville Carriers efficiently offers legal and over-dimensional hauls coast to coast throughout the United States and Canada. Our terminals are conveniently located in Truro, NS and Saint John, NB. Transportation Solutions offers intermodal freight transport and management services, as well as qualified brokerage services to solve your unique logistics problems. 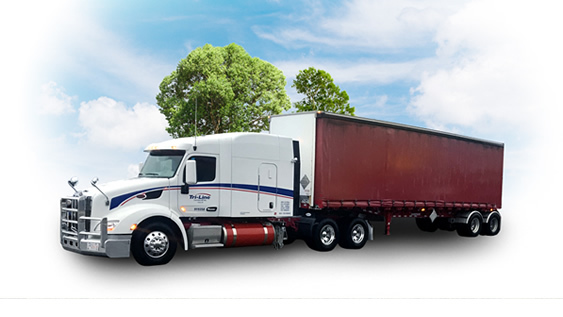 With over 25 years of experience in the transportation industry, our customized freight carrier solutions promise proven results and superior customer service. We’ll always get your shipments securely and reliably to their North American destination with the support of our specialized equipment and advanced logistics. 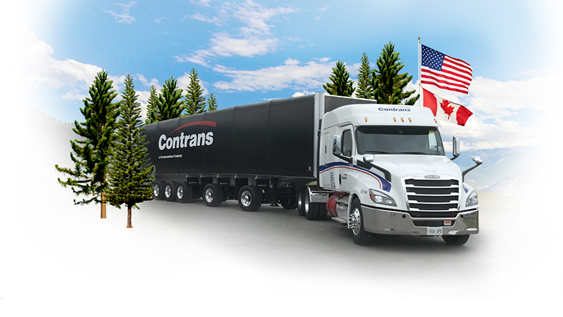 Contrans Flatbed provides freight transportation throughout North America. We are able to transport legal weights in all areas and will permit to carry heavy loads in Ontario, Quebec, Manitoba, the Maritimes, Michigan, Ohio, Indiana, New York, and more. 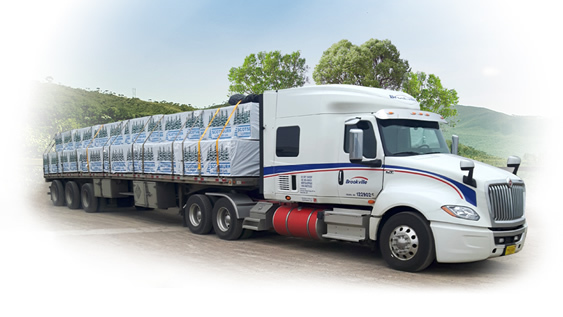 With ongoing opportunities for further training, career growth and professional development, Contrans Flatbed provides a challenging and engaging work environment for members of the transportation industry. We’re always on the lookout for individuals to join our dependable crew. Contrans is offering a comprehensive business development program for company drivers who wish to make the transition to owner operators and are ready to launch their careers and further develop their business skills. 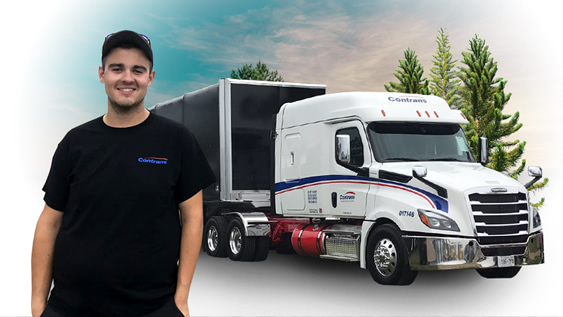 Contrans Flatbed has created an innovative mentor program to give newly AZ licensed individuals the opportunity to work alongside an experienced driver who possesses an in-depth knowledge of the trucking industry before venturing out on the roads alone. If you’re looking for reliable transloading, freight management, brokerage and intermodal transport services to ensure the smooth transport of your cargo, we have the experienced staff on board to meet your business objectives. We operate across North America with many convenient terminal locations. We offer a full range of transportation services from coast to coast to suit customer needs.